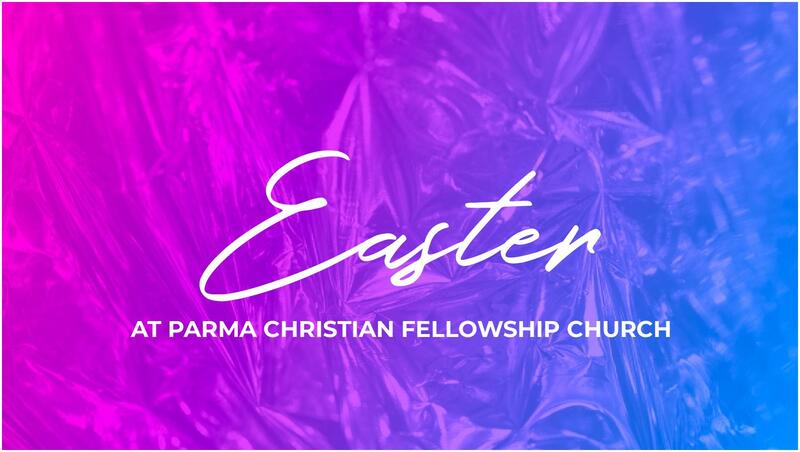 Join us on Sunday, April 21 as Parma Christian Fellowship Church hosts Easter 2019, a morning of fellowship, music and a message the whole family will enjoy. Children Are Welcome! A “Quiet Room” is available to allow your young children to play while you are able to watch the service. Children ages 2 to 12 are welcome to participate in Sunday School during the sermon time, which will include an Easter message and a small Easter egg hunt! Please RSVP so we have enough goodies! We are going to be having a potluck breakfast before our service. Breakfast will begin at 9:00 AM. Please bring a dish to pass. If you’re looking for ideas on what you can bring (or maybe you would rather not make anything), please check out our sign up sheet by clicking here. See what other exciting things are happening as part of Easter! Our Hilton Community Passover Last Supper event will be held on Thursday, April 18 at 6:30 PM. This event is great for all ages, and is a chance to experience what Passover could have really been like! Come ready to have fun! Our newest sermon series will begin on Easter Sunday, entitled “Alive”. In this series, we’ll answer questions you might have about salvation and having a relationship with Jesus. We hope you can join us on Sunday morning for our Easter Service. We want to make sure we have enough places at breakfast and goodies for children! Please complete the form below to RSVP. Yes, and we're bringing guests. Sorry, we have to miss it this year. A: Of course! Kids of all ages are welcome at Parma Christian Fellowship Church. If you’re worried about a noisy infant or toddler, there is a “Quiet Room” available where you can watch the service while your child plays. A: Children are welcome to stay in the sanctuary during the whole service. We do offer Sunday School during the sermon time. If you’re worried about your child being “antsy”, you can listen and watch the service from the “Quiet Room” as your child plays. A: Yes! We are a church that loves to do potlucks! We’ll be gathering together to eat breakfast as a family before our service starts. Breakfast will begin at 9:00 AM. We have a sign up sheet for some ideas of what to bring (we know not everyone has a “famous dish” or likes to cook), which you can find by clicking here. A: Our services are between 60-70 minutes long. We spend time worship in song, praying and listening to the sermon. A: Wear whatever makes you comfortable! (As long as you’re clothed!) For Easter service, we tend to dress on the nicer side, but it isn’t required! Q: Is your building handicap accessible? A: Yes! We have no stairs at all in our building! Q: Can I bring friends or family members? A: Yes! The more the merrier! We love to share about God’s love to everyone! Q: Do I really need to RSVP to a church service? A: No, you don’t have to. It just allows us to make sure we have enough seating and goodies for all who plan to attend. We are a church for all people. Children are welcome at all services. Join us on Wednesday nights at 6:30 PM for Kid’s Club.